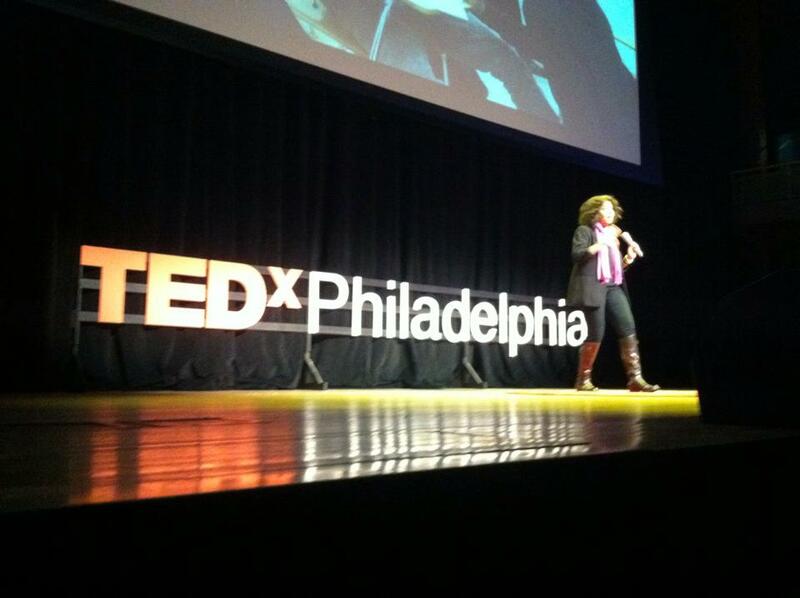 In Simran Sidhu’s TEDxPhiladelphia talk about YouthBuild Philly’s core strategies, she emphasized the importance of putting individual students and their needs at the center of our program design. What this means, sometimes, is being willing to abandon or adjust existing program constraints if they don’t help students achieve success. YouthBuild Philly is housed in the OIC building on North Broad St., which we share with several other non-profits including Philadelphia OIC, Inc., which owns the building. In early February, Philadelphia OIC contracted Graboyes Commercial Window company to replace the building’s windows. In April, Jerome took time off from his internship to attend the YouthBuild USA Conference of Young Leaders, and Aaron Warren filled in during that week – which led to his being brought on as a full-time intern as well. Aaron and Jerome have both fulfilled their diploma requirements (attendance, coursework, vocational certifications, service in the community) with YouthBuild already, and Graboyes was eager to hire both of them and help them enter a union apprenticeship. The only catch was that Aaron and Jerome needed to have their actual high school diplomas; fulfilling the requirements wasn’t enough. 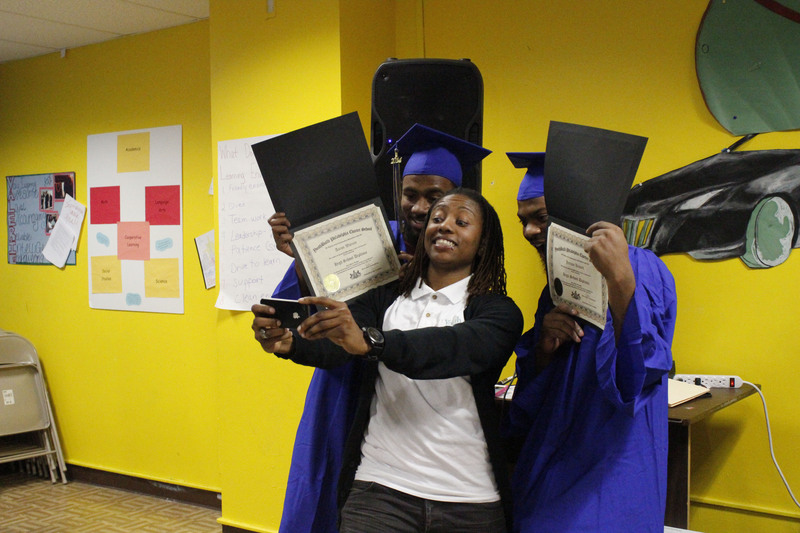 Unfortunately, YouthBuild traditionally only gives out diplomas in August or November at our graduation ceremonies. When presented with this problem, however, school leadership decided to make an exception. It didn’t make sense to hold Jerome and Aaron back when they had fulfilled their requirements and had worked hard to earn new opportunities. 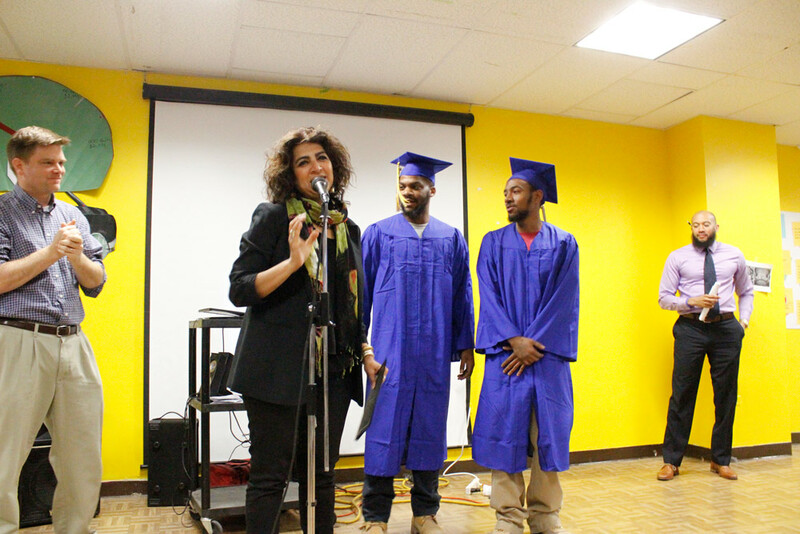 So last week we awarded the two students their signed and seal-stamped high school diplomas. They are now the first graduates in the Class of 2014! It would have been anticlimactic to just hand these hard-earned diplomas to the students, of course, so the school held a surprise ceremony during last Friday’s community meeting. Jerome and Aaron wore their caps and gowns, we played Pomp and Circumstance over the speakers, and Simran awarded the students with their diplomas. (Note: Jerome and Aaron will also walk in the official August graduation ceremony alongside their classmates and in front of their friends and family). 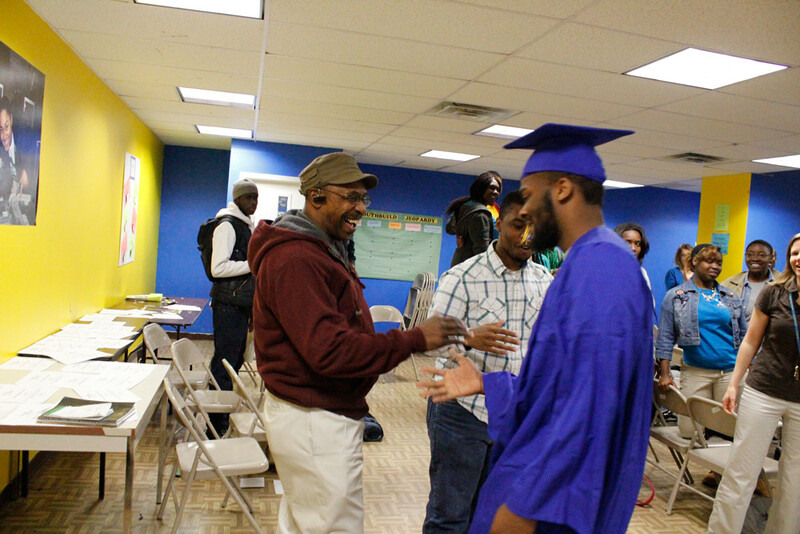 The outpouring of support from Jerome and Aaron’s classmates was the highlight of the ceremony. Many students still have some requirements to fulfill before August – and some may not graduate until November – but on Friday everyone celebrated this early graduation. The room was filled to the ceiling with 2014 pride. 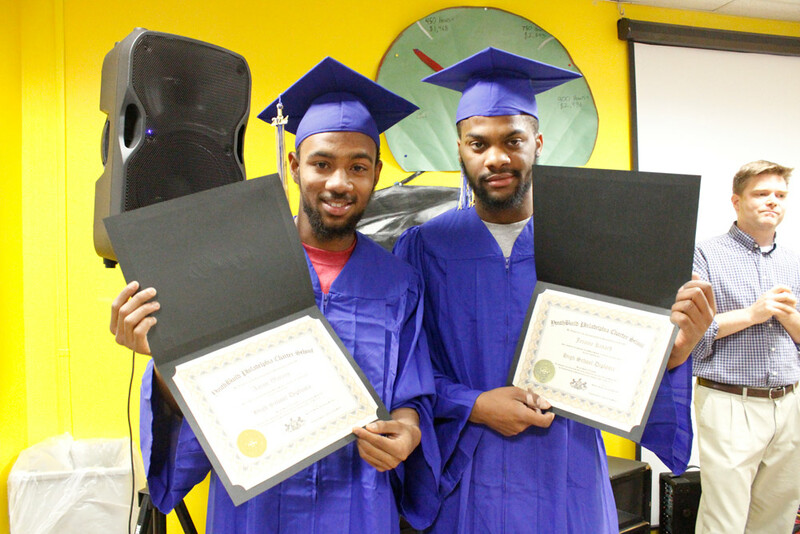 We are so proud of Jerome and Aaron’s hard work at YouthBuild and with Graboyes – and of their classmates who continue to pursue excellence and demonstrate perseverance on their way to graduation. Please join us in cheering on the Class of 2014 as they enter the home stretch!